Mouth Blown Glass & Hand Painted in Poland;The 2016 Balancing The Date Santa Ornament Measures 7.25H. ;This Santa Is Holding A Stack Of Presents. The Front Of The Packages Is Decorated With 2016 In White Glitter That Is Outlined In Gold Glitter. ;The Ornament Comes in Its Own Christopher Radko Presentation Box. 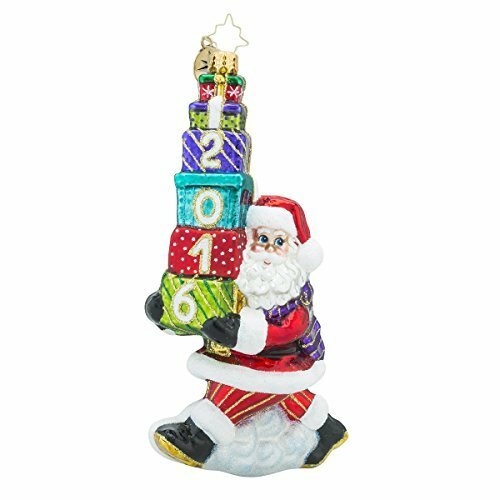 Christopher Radko 2016 Balancing the Date Santa Glass Christmas Ornament - 7.25h.